nygreporter is a website for New York Giants fans and writers. A place to come together and discuss Giants football. As of November 2011, all articles will be written and published by nygreporter owner RD. He has been featured on many sports sites including CBS Sports, NBC Sports, USA Today, Giants.com, NFL Network, FOX Sports, SNY, Yahoo Sports, AOL Sports, Fanhouse and numerous other smaller websites that talk about Giants football. I am committed to maintaining a family friendly environment and becoming a top destination where Giants fans can read articles, write articles and interact with other loyal Giants fans. It will continue to be a place where fans of all ages can visit and read about their favorite team. I urge all of our readers to keep the comments and chat clean here. Remember that kids read this stuff too. We appreciate everyone in our community and encourage members to write from the heart. If you would like to become a member, simply register a free account with nygreporter.com. This is separate from a wordpress.com account that will be needed prior to access. It’s easier then it sounds. Create a wordpress account, then join nygreporter by making a new name and password. We are looking to build a community of knowledgeable and seasoned members that know Giants football. Guys and girls who come together and contribute to this site by leaving their opinions in the comment area and having a discussion about the topic at hand. All are welcome here. If you are a passionate New York Giants fan, you are welcome here. I expect some of my friends within the Giants community to pop by from time to time, most of you will probably know them. Since the Giants writing community generally supports each other, we also support our friends and colleagues at other independent Giants websites. As I mentioned in our philosophy box on the home page here, this is a place for Giants fans and writers to come and read about Giants football. The nygreporter website is not affiliated with the New York Giants or the National Football League at this time. We would however consider any offers for partnerships or employment with either the New York Giants or National Football League. We are simply a website for good, clean chat about football that the whole family can enjoy. Any photographs accompanying a story on nygreporter.com, were taken by someone with the nygreporter site. We do not use other peoples pics/property in order to avoid any copyright infringement. 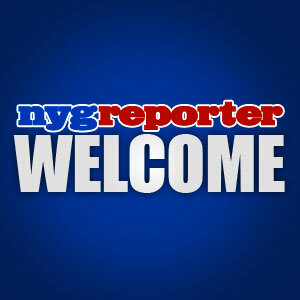 nygreporter.com was born on March 6, 2010. Remember, you do not need to be a member to leave your comments on articles. Enjoy!